On September 13, 2018 at 5pm, the Merrimack Valley became an apocalyptic scene. 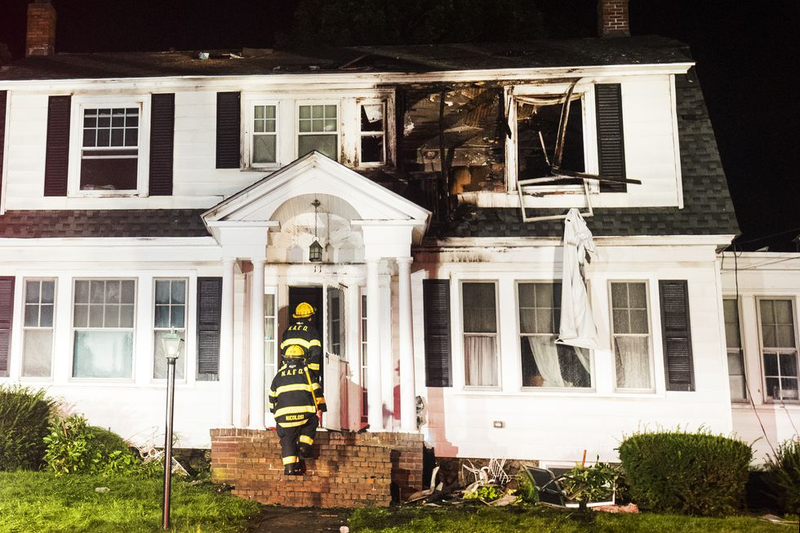 More than 75 fires and explosions occurred in the cities and towns of Lawrence, Andover, and North Andover. The sky was filled with smoke, the air smelled of gas, and deep tones of red, orange, and yellow filled homes. Our hearts go out to the families whose homes were set ablaze, and who were injured and killed. We know that what happened in the Merrimack Valley is not new. Gas leaks have been occurring all over the state in communities like Weymouth, Springfield and several others. This same catastrophic event could have happened in any number of communities that have been experiencing gas leaks. We need to put an end to pipeline expansion in the state of Massachusetts. We cannot sit idly by as more of these appalling events continue in our communities. What makes this event all the more frightening is that Columbia Gas, whose parent company is NiSource, is proposing a new 6-mile long pipeline in Western Massachusetts from Agawam to Holyoke. What’s happening in Andover, Lawrence, and North Andover will not be isolated. These are events that will occur more and more as we continue to build more pipelines and rely on natural gas. Instead we need more renewable energy such as solar and wind. Neighbor to Neighbor (N2N) Holyoke in partnership with Columbia Gas Resistance Campaign (CGRC) is fighting Columbia Gas RIGHT NOW to stop this pipeline expansion in Western Massachusetts. Our hearts break to see the destruction that this pipeline company caused in the Merrimack Valley late in the afternoon on Thursday. When children and parents are suppose to be coming home to spend time together, they were instead made to evacuate, no longer feeling safe in their homes. Join N2N in our fight to end this pipeline expansion project in our community of Holyoke. Holyoke Mayor, Alex Morse, ran his entire mayoral campaign on 100% renewable energy for the city of Holyoke. However, under his watch, Holyoke Gas and Electric signed a memorandum of understanding (MOU) with Columbia Gas allowing the gas company to start construction of the pipeline in November 2019. His willingness to go along with Columbia Gas’ proposal for a new pipeline is a direct contradiction to earlier statements. Will he side on the part of the community and its well-being, or sellout to a large fracked gas company and put our community at risk? Dozens of concerned citizens from the City of Holyoke have signed our petition to stop the proposed 6-mile long gas pipeline from Agawam to Holyoke, and we need more signatures to get Holyoke City Council to take on the issue. If you’re a resident of Holyoke, contact Jacqueline Velez (646-683-1883/jackie@n2nma.org) to sign our petition AND Call Mayor Morse at (413) 322-5510 to tell him ‘NO’ to Columbia Gas! You can help stop new gas infrastructure by making a gift here.